Fisher & Paykel Finance, which has its roots in its parent's whiteware industry, is now targeting lending growth in the agriculture sector having recently moved into the health sector through its "credit card substitute," the Q Card. Alastair Macfarlane, Fisher & Paykel Finance's managing director, told interest.co.nz the firm - a subsidiary of Fisher & Paykel Appliances - is looking to establish relationships with companies that provide services to farmers. Macfarlane said the New Zealand economy is "built on" the agriculture sector and F&P Finance currently has very little exposure to it. "So we've been looking at what are the channels that we might be able to consider. And one of them in particular we're looking at is veterinary services because the veterinary channel provides a considerable amount of services to the agri sector," Macfarlane said. "We're not looking into livestock or heavy machinery financing, but we're looking into those peripheral industries that support the agricultural sector. There are a lot of retailers and farming suppliers and those sorts of things," Macfarlane said. One company in the rural sector whose customers F&P Finance is already offering loans to that Macfarlane cites is Husqvarna, whose products include chain saws and ride on mowers. Founded in 1973, F&P Finance started out with the primary activity of renting TVs under the F&P Dealer Rentals Ltd name. In 2003 it acquired the Farmers Trading Company’s finance and insurance operations in a NZ$311 million deal. It now operates the Farmers Card and Q Card. The Q Card now has about 200,000 card holders and is promoted as a credit card substitute with interest-free deals and payment holidays. Macfarlane said as the firm has moved to widen its consumer credit offerings to new retail sectors, to reduce risk and capture more business, it has had success in the health sector, through the Q Card, over the past 12-18 months. "Good examples would be in dental, with Lumino for example, (optometrists) OPSM, (and) audiology. People realise this is a health need they have in the short-term but a lot of the cost of that upfront is quite expensive. So we've been able to provide those institutions with payment options for their customers to pay over six months, 12 months in an affordable payment plan," said Macfarlane. F&P Finance's deal with Lumino, for example, says 18 months interest free is available on dental services costing at least NZ$300. Minimum payments of 3% of the monthly closing balance or NZ$10, whichever is greater, must be made through the interest free period. 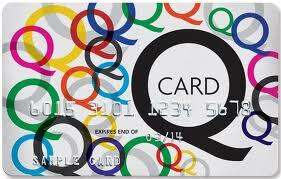 The Q Card standard interest rate of 25.25% applies to any outstanding balance at the end of the interest-free period. The Q Card website cites a range of long term interest-free deals and payment holidays of up to 48 months. In terms of fees, there's an establishment fee of NZ$45.00 and annual account fees of NZ$45.00. See more on the fees and charges here. Meanwhile, Macfarlane said F&P Finance retains an "appetite for acquisitions" but has struggled to find anything that fits with its core business. "We had a look at some of the South Canterbury (Finance) stuff. We didn't like the look of any of it so we didn't pursue it." Having successfully negotiated the end of the extended Crown retail deposit guarantee scheme, under which it had retail funding guaranteed by taxpayers, F&P Finance is reducing its bank borrowing. Macfarlane said a NZ$50 million undrawn tranche from its NZ$385 million bank borrowings was being cancelled and its commercial paper programme was being reduced by NZ$35 million to NZ$250 million. Its bank financing comes from ANZ, BNZ and Westpac. At its March 31 year end F&P Finance had NZ$111 million of retail debenture funding (paying a weighted average interest rate of 7.4%), down 21% from NZ$140 million a year earlier. Of its then NZ$285 million commercial paper securitisation facility NZ$90 million was unused, and NZ$157 million worth of its bank loans were undrawn. F&P Finance is paying a weighted average interest rate - excluding line fees, establishment fees and extension fees - of 4% on its bank borrowings. The firm also had cash and deposits of NZ$56.5 million at March 31, up NZ$9.6 million year-on-year. In its annual results F&P Finance said monthly retail debenture reinvestment rates have increased in 2012 since the end of the Crown guarantee scheme on December 31, 2011. It said the reinvestment rate in March was 89% compared with lows of 38% earlier in its March ending financial year. On a rolling six months basis the reinvestment rate was put at 66% (as of March 31). Yesterday Macfarlane said recent reinvestment rates were around 70% to 80%. "Investors are still being careful and guarded as they should be," he said. Among the interest rates it pays investors, F&P Finance is currently advertising interest rates for debentures of 4.75% for 90 days, 5.25% for six months, and 7% for five years for investments of between NZ$1,000 and NZ$24,999. For investments of NZ$25,000 to NZ$250,000 and above it's offering 5% for 90 days, 5.50% for six months and 7.15% for five years. F&P Finance has a BB credit rating with a stable outlook from Standard & Poor's. Anything rated less than BBB minus is deemed to be speculative or 'junk' grade debt. Although the Crown guarantee didn't expire until December 31, F&P Finance stopped offering guaranteed term securities under the scheme in June 2011. Meanwhile, Macfarlane confirmed a retail bond offer remained on the cards. "We've looked at whether retail bonds might make sense," Macfarlane said. "That's something that is currently in front of the board for consideration. We're also talking to a number of brokers about how we might go to market with a retail bond." In its recent annual results, F&P Appliances said F&P Finance's return on equity rose to 19.4% from 18.4%. Gross receivables stood at NZ$615 million at March 31, up NZ$2 million over the six months from September 30 last year.